Mona lives with her enclosure-mate, Moki, and is the more dominant of the two. 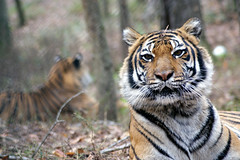 It is difficult at times to tell Mona and Moki apart, which indicates they are most likely from the same litter of cubs. 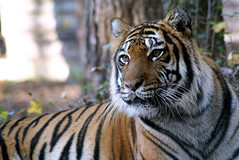 Mona has darker eyes than Moki and her eyebrows are simple thick lines above her eyes, while Moki has a dramatic, turned-up look to her eyebrows. 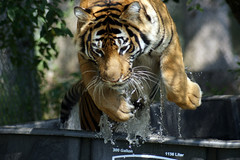 Mona enjoys scaring vultures away from her enrichment for fun. 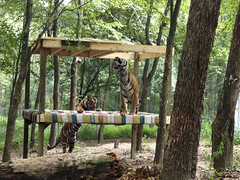 Mona and Moki have been known to stir up trouble with their neighbors, Saber and Shenandoah Tigers, and a visual barrier had to be put up to keep them from aggravating their neighbors too much. 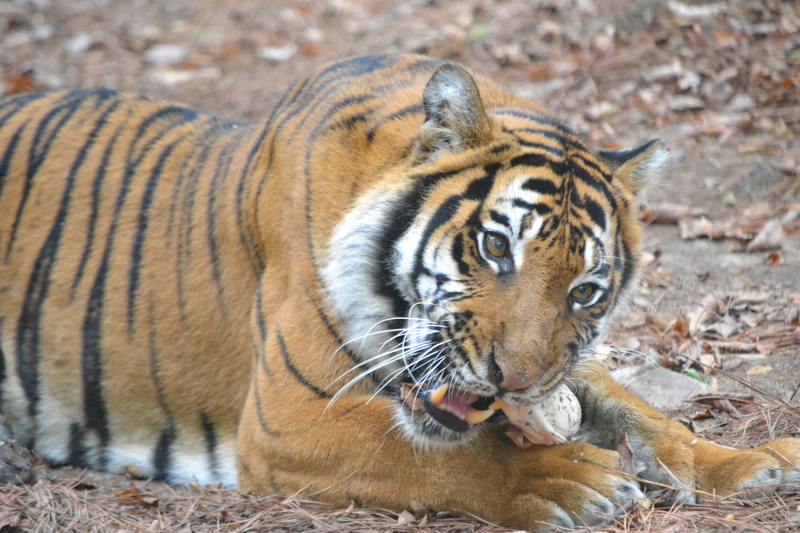 Mona will often push Moki out of the way to get more treats, but the keepers are keen to her tricks and always ensure that Moki gets her fair share. Mona and Moki Tigers came to Carolina Tiger Rescue from a roadside zoo in Missouri that closed down after it lost its license. 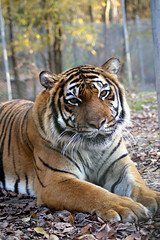 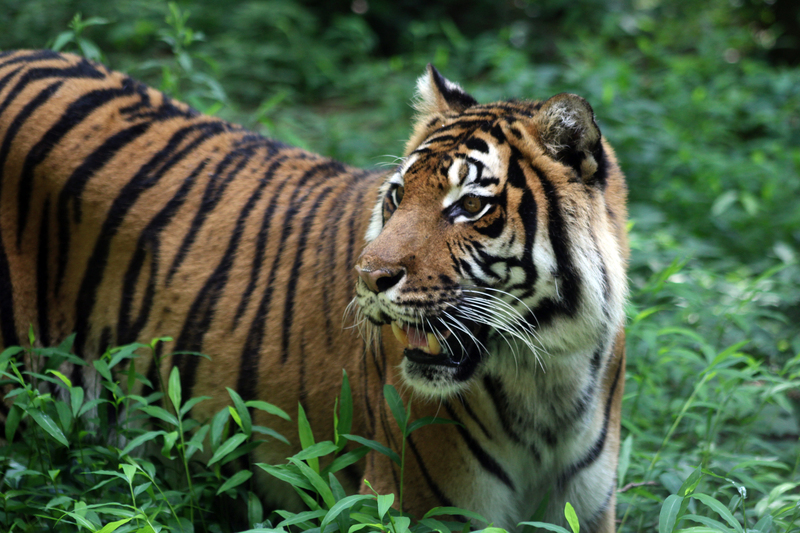 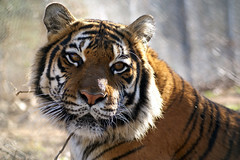 A volunteer at the facility had been attacked by another tiger and the authorities decided the facility was not safe. 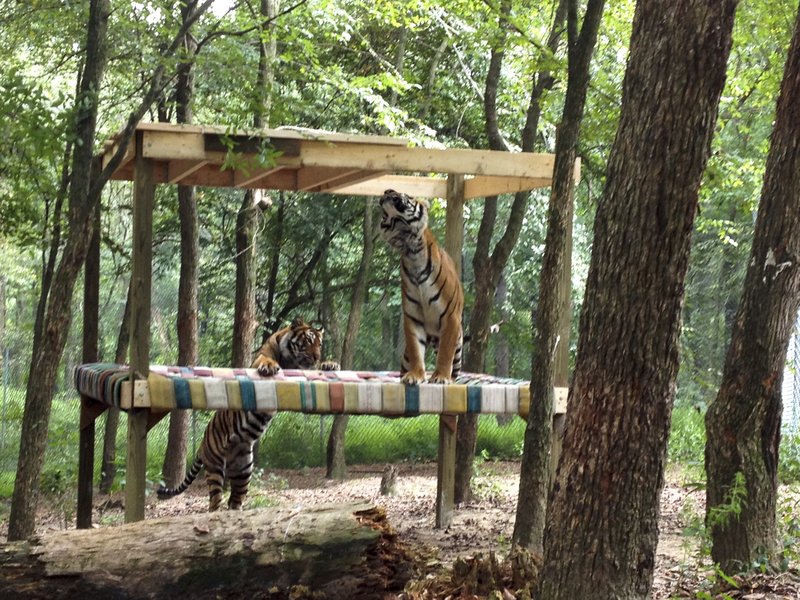 Mona and Moki came to Carolina Tiger Rescue with two other tigers, Fenimore and Emerson. 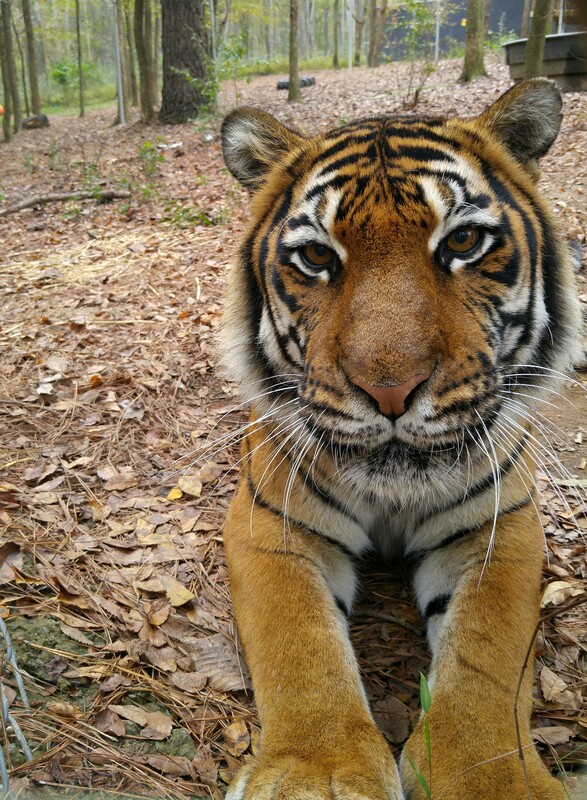 Mona is more dominant than her sister, Moki. 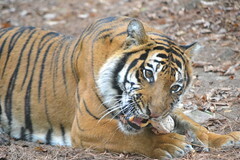 She eats first and will often growl or roar at Moki if she attempts to get enrichment first. 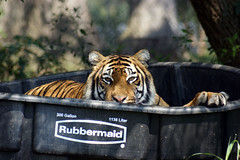 Mona loves enrichment and will often quickly tear boxes apart to get to the goodies inside before Moki has a chance. 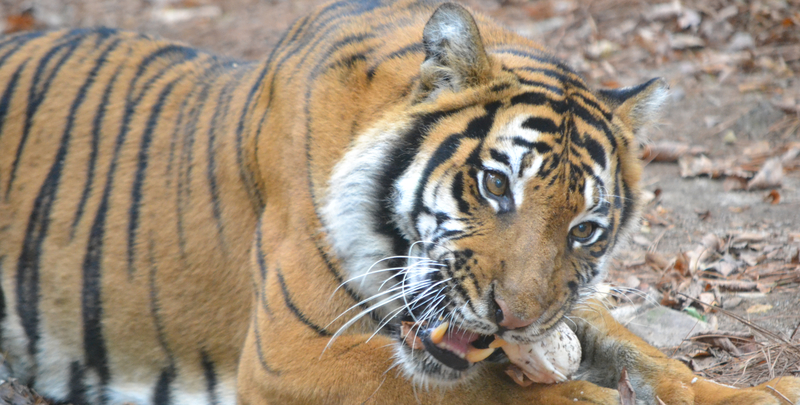 We always ensure that there is enough for both of them and spread the enrichment out so that when Mona is engaged in her enrichment, Moki can get some as well. Mona has more muted colors and fewer stripes than Moki. 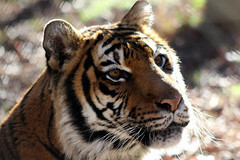 She is one of our smallest tigers, weighing about 200 pounds. Her small size could be due to her breeding, but most likely it is due to a lack of proper nutrition as a cub. 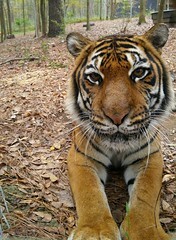 Mona lives on tour with her sister, Moki, in Pine Forest, next to Saber and Shenandoah Tigers. 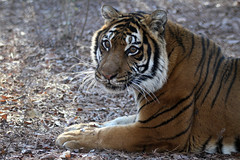 They are situated in a more wooded area of the sanctuary and they seem to enjoy the leafy shade. 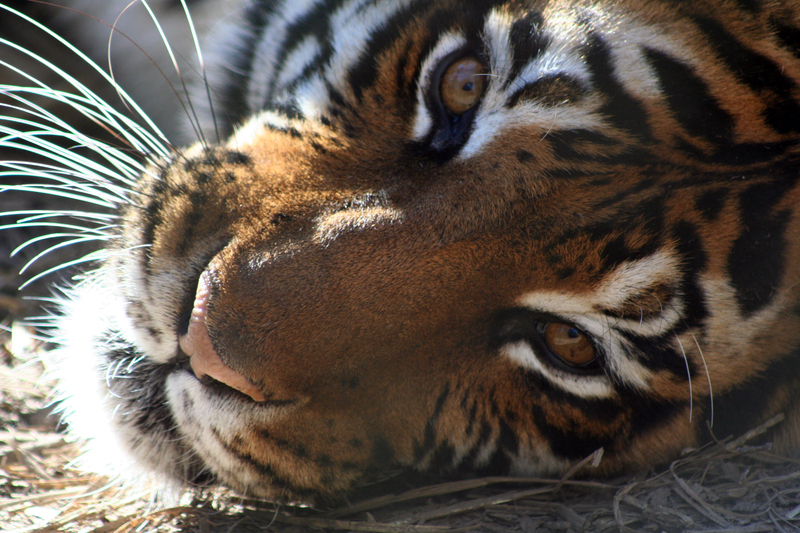 The "MO" girls love to lounge under the trees while napping. 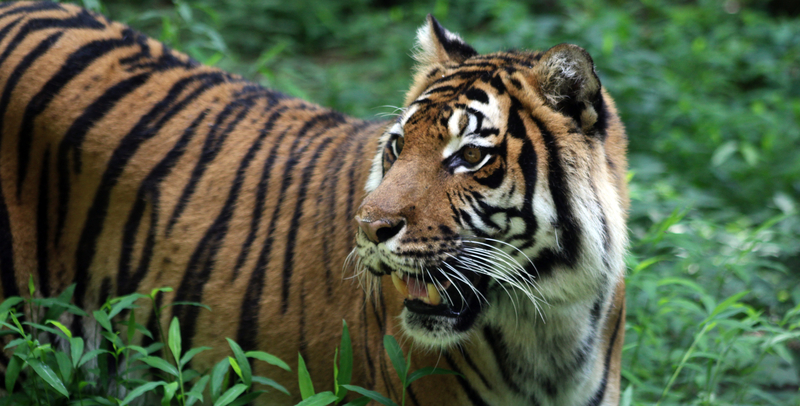 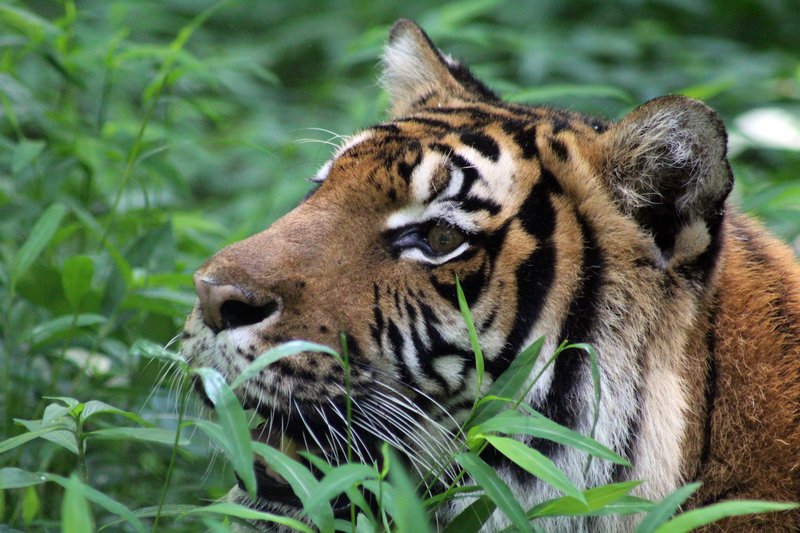 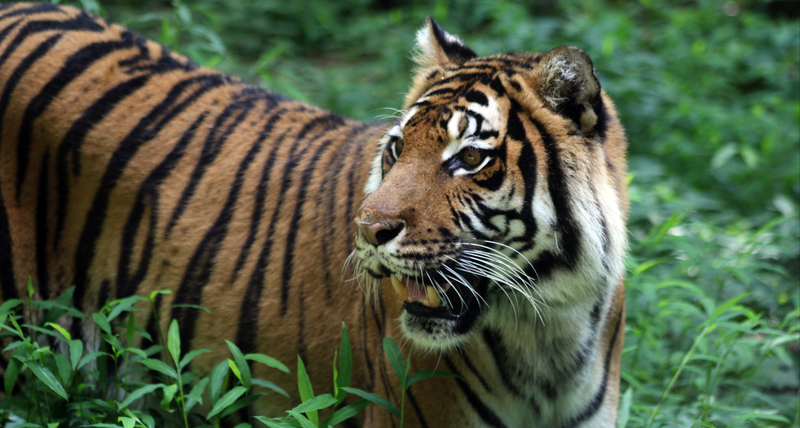 Mona was rescued along with three other tigers, including her enclosure-mate, Moki, from a roadside zoo in Missouri. “Roadside zoos are collections of animals in cages to profit from motorists who stop to see the animals. 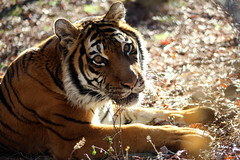 They are not accredited by the Association of Zoos and Aquariums (AZA). 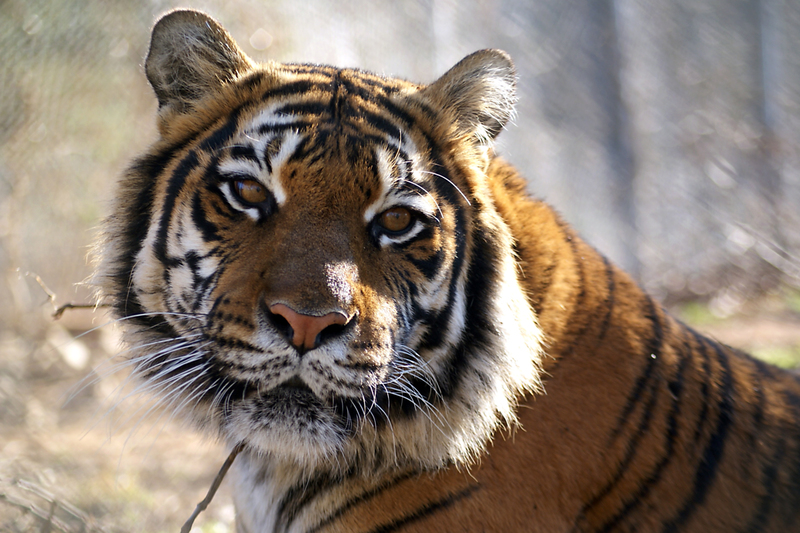 A roadside zoo can be 20 animals in adjacent pens or a single tiger in a cage. What these facilities have in common are barren cages, inadequate food, water, shelter and veterinary care. 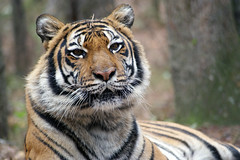 The animals are often crowded into conflict-prone groupings.” – Tigers in America. It is always important to research a facility before you visit. 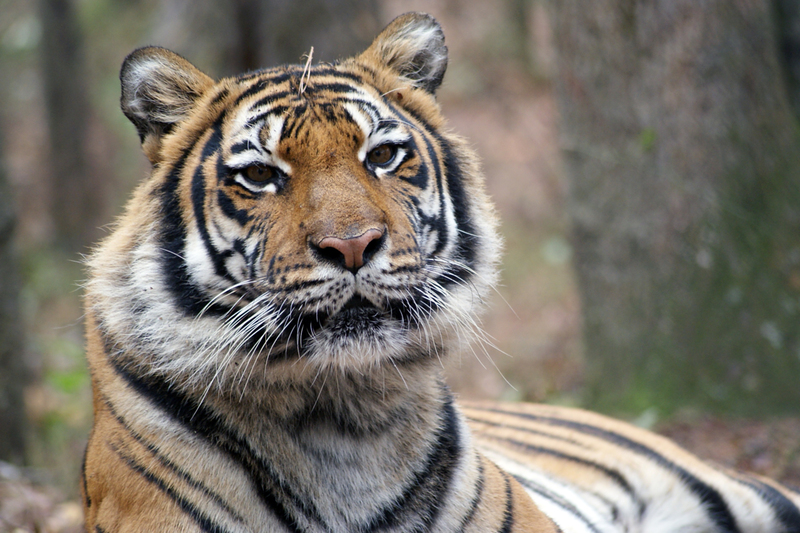 Ask questions and find out why they exist and what their goal is.